Cleveland’s funk continued with a loss against the Kings last night, as they have now dropped seven games in a row. The production of their young guard continues to be impressive, along with the rebounding totals for Larry Nance Jr. But that’s it. Golden State dominated the Lakers from the opening tip last night, coming away with an 18-point win when all was said and done. This is a team still hoping to catch the Nuggets for the top record in the conference, a dream that could still come true. When these teams met for the first time back in December, the Cavs got off to a strong start and even led the game by six points at the half. 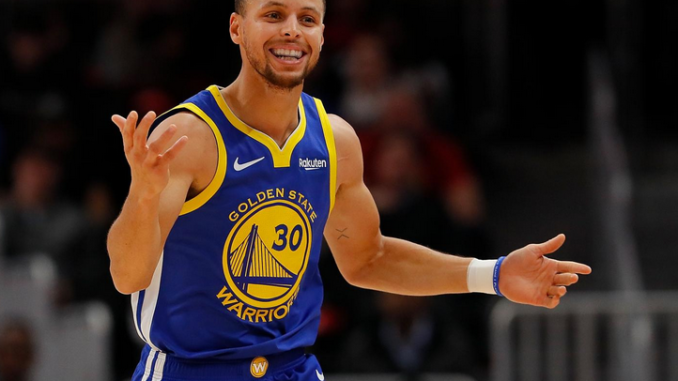 But just as everybody expected, Golden State dominated the entire second half, outscoring the Cavs 71-41 over the final 24 minutes en route to a 24-point victory. Collin Sexton led his Cavs with 21 in that game, the last one they would play before bringing Matthew Dellavedova back to the team and shipping away the veteran George Hill. Dellavedova has missed numerous games now with his concussion, and it does not seem that he will return before the season comes to a close. Kevin Love has missed multiple games now with a shoulder, and there is no reason to place any bets in their favor if he is unable to come back and play. Nevertheless, we’ll see if Collin Sexton is able to continue his sharpshooting. He’s been burying threes at an impressive rate. Their game last night was never in doubt, as they amassed a 39-12 lead after one quarter. In his first game “wearing contact lenses” claiming that his vision (despite being the best shooter ever) had been a big issue, Curry scored only seven points. He wasn’t out there trying to make it all about himself, but you do expect a bit more than seven points from a player with his ability, especially after doing something to supposedly fix his vision. The Warriors had five players in double-figures, the most surprising one being Quinn Cook and his 18 points. Cook played extremely well down the stretch last year, and his return to prominence off the bench could play a big part in the playoffs. Andre Iguodala has missed the last few games with a toe injury, but it has not seemed to negatively impact them. DeMarcus Cousins seems to be settling into a nice groove, as he’s averaged 16-8-4 with 1.3 steals and 1.5 blocks over 28 games. The one issue there is his 3.7 fouls per game average. If he gets that under control, we should be very scared. Sorry Cavs fans (myself included), but the Warriors will certainly cover the spread. Curry will bury at least five triples tonight, while KD and Boogie take advantage of their defensive matchups.